After nearly a one-month long tournament, the Copa América came to an end with a re-match game between Argentina and Chile. History repeated itself Sunday night at the MetLife Stadium in New Jersey as both soccer teams played head-to-head for the Copa title in its 100-year celebration. Similar to the 2015 games that were hosted in Chile, the final match was a tight and nerve-racking game. 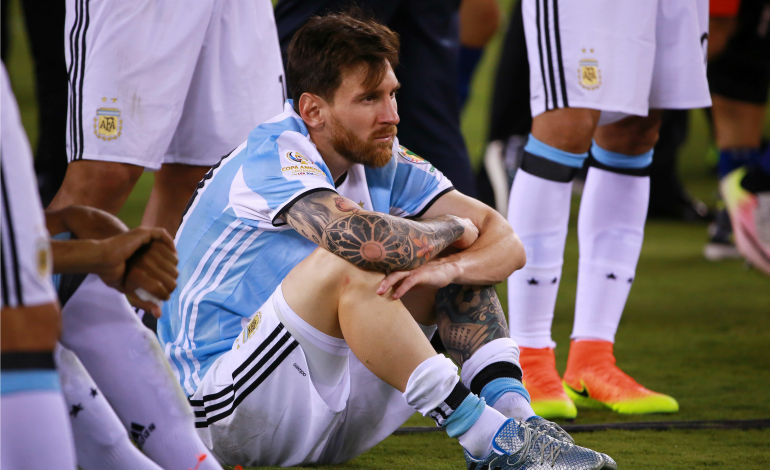 After nearly two-hours in the field with a score of 0-0, Argentina and Chile took their fate to penalties. Chile, once again, nabbed the title as they scored four goals and Argentina scored two. Despite the back-to-back celebration for the Chilean team, Lionel Messi became the center of attention as it was the first time in his career that he missed a penalty shooting. The 29-year-old FC Barcelona star was also caught on camera with a distraught face and tears in his eyes following the match. After the game, Messi opened up about the game and revealed to news reporters that he has decided to "throw in the towel" and call it quits with the Argentina national team.